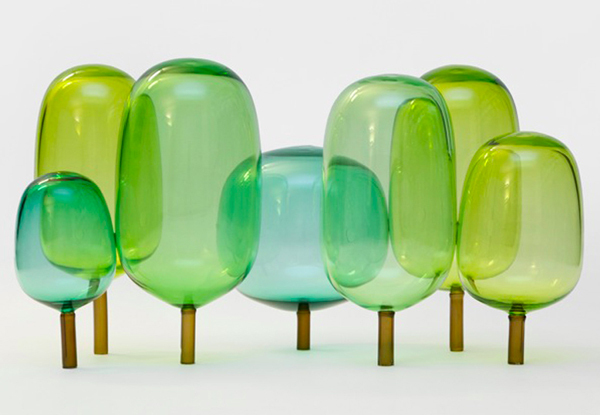 StokkeAustad and Andreas Engesvik will showcase The Woods - a series of glass pieces inspired by a tree changing its colours through the seasons - at Stockholm Design Week this week. 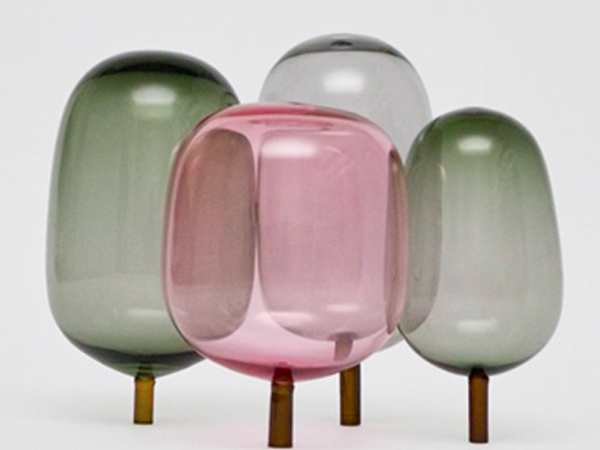 The collection of coloured tinted glass bubbles are each supported on solid glass stems. One set represents spring with a mixture of greens, while the other set is a combination of soft pinks, oranges and greys which together represent autumn. 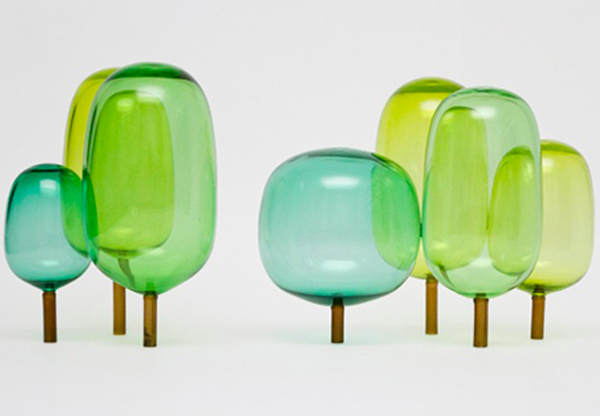 "The inspiration was found in the forests and the lights of the North," says Engesvik. 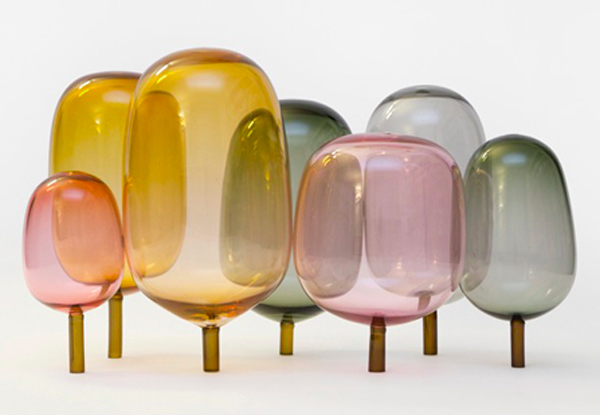 "A tree changing colours and transparency through the seasons is a fascinating process which was captured in this glass object."